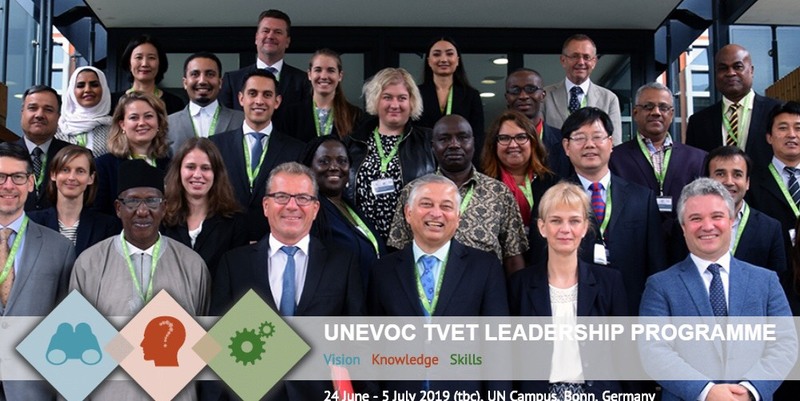 UNESCO-UNEVOC International Centre in Bonn announced the 2019 UNEVOC TVET Leadership Programme for strengthening TVET worldwide. It will take place in Bonn, Germany from 24 June to 5 July 2019. The UNEVOC TVET Leadership Programme is a 10-day flagship Programme for mid- to senior-level TVET experts who seek to build their capacities in transformational leadership in TVET. Please note that seats for the UNEVOC TVET Leadership Programme are limited. Only about 25 participants from all parts of the world will be selected. Women in mid- to senior-level positions matching our target audience criteria are especially encouraged to apply. Applications will be accepted until 17 February 2019. For further details please visit UNEVOC TVET Leadership Programme webpage.